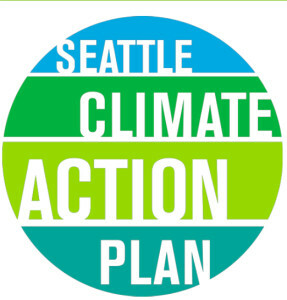 Neither the City of Seattle Climate Action Plan to achieve carbon neutrality by 2050, nor Nick Licata’s Resolution 31400, establishing a Green Building Advisory Board for the City of Seattle, make any mention of Passive House. 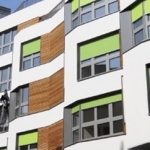 Passive House (Passivhaus) is the approach to designing ultra-low-energy residential, commercial and institutional buildings that reduces energy used in heating and cooling to 10% of code, and total energy use to 30% of typical. In Europe it is widely supported by governments and widely implemented (in 37,000+ buildings! )–all for costs comparable to conventional construction. 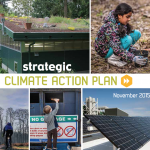 To leave out this proven, cost-effective means of achieving our carbon reduction goals seems like a serious and unfortunate oversight, perhaps brought on by the fact that at the time the Climate Action Plan was being developed, the Green Ribbon Commission (the group tasked with developing the Action Plan) did not include anyone with Passivhaus knowledge or experience. Passive House is relatively new on the scene, with only several built examples within City limits, but a forward-thinking city should look to forward-thinking solutions. I am confident that any number of the members of Passive House Northwest could provide the expertise neccessary to add Passive House to the mix.